Free radicals are formed when the skin is exposed to the harmful UV rays of the sun. They cause fine lines and wrinkles on the skin, which cause your skin to age. A high amount of Vitamin E is contained in Argan oil. This fights against free radicals to help your skin prevent the damage. Saponin is also contained in Argan oil, which makes your skin soft and supple. The hydro-lipid layer of your skin is restored by using Argan oil. As such, all signs of early ageing, like wrinkles and fine lines, are prevented and cured. Several big brands of expensive skin creams and body lotions use Argan oil as a main ingredient. This is because of the property of the oil to give a glow to your skin. You can make your own moisturizer by infusing the oil. Take any skin cream of your choice, and mix 10 drops of Argan oil in to it. Apply this cream before you go to sleep at night. This new and improved night cream makes your skin glowing and soft. Any ailment of the skin can be cured by using Argan oil. It has been in use since ancient times to provide relief from chicken pox, eczema, acne, and all such skin problems. The skin is given a soothing feeling. Dry and itchy skin is cured, and you get relief. After pregnancy, women usually have the problem of stretch marks. These marks can also be treated using Argan oil. Massaging Argan oil on your skin soothes and relaxes your skin to treat the issues. 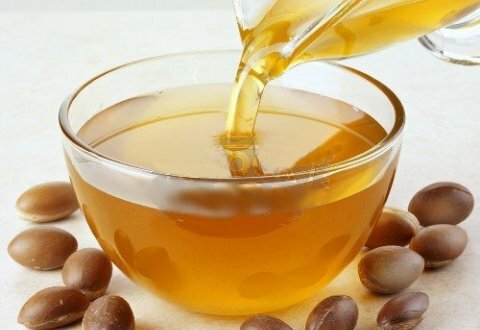 Triterpenoid are active substances which are contained in Argan oil. They are well known for the protective and healing benefits. Tissue scars are healed, and sun protection is provided if you use the oil. They also act as a disinfectant, and have inflammatory properties. In case you have joint pains, or any scars, massage regularly with argan oil to treat them. The oil also provides relief to people suffering from rheumatic issues and arthritis. Plant sterols, schottenol and spinasterol, are contained in abundance in argan oil. This is not found in any other vegetable oil. These plant sterols are very effective in reducing the inflammation in your body. They also are helpful in inhibiting the intestine from absorbing cholesterol. Circulation is improved, and the immunity of the body is increased. The level of the good cholesterol, LDL, is increased by phytosterols, which are unsaturated fatty acids. Anti-oxidants are contained in abundance in Argan oil. Above that, even Vitamin E is found in huge amounts. All these fight against acne on your skin. The skin inflammation caused due to acne is decreased. If you use Argan oil on your skin on a daily basis, you will find your skin texture improving slowly. Mild acne fades away easily and your skin becomes healthier and more beautiful. Using Argan oil helps people who suffer from regular indigestion problems. The concentration of the enzyme, pepsin, is increased in the gastric juice to facilitate better digestion in your stomach. Flavonoids are anti-oxidants which are very helpful in reducing inflammations inside the body and also externally. These flavonoids are also contained in Argan oil. As such, the functioning of your digestive system is improved, and you get relief from indigestion. Many people encounter problems of dry and flaky scalp. Argan oil provides the best solution to all issues of the scalp. Take some Argan oil and massage gently all over your scalp. Make sure you massage well before you go to bed. Let the oil stay in your scalp overnight. Use a clarifying shampoo to clean off the oil from your hair, the next day morning. Leaving overnight ensures that the oil gets enough time to be able to go deep in to your scalp and give it a moisturizing effect. Frizzy hair can be effectively treated using Argan oil. The content of vitamin E in the oil is much higher than in any other oil. As such, it is capable of helping you tame down dry, unmanageable, and frizzy hair. Moreover, Argan oil is also rich in unsaturated fatty acids. This moisturizes your hair well, and prevents it from drying out. Split ends are also reduced. Use Argan oil to massage your scalp and hair well. Make sure to concentrate o the ends of your hair. Apply this before you go to bed, and leave the oil in your hair all through the night. In the morning, wash off your hair using your shampoo and conditioner. Your hair becomes shiny, smooth, and frizz-free. It becomes more manageable and beautiful. Nails tend to become brittle at times. They can get prone to cracking and peeling, and become weak. As such, you need Argan oil to restore the strength of your nails. The Vitamin E contained in Argan oil makes your nail cuticles soft, and your nails stronger. Use Argan oil regularly to massage your nails, and make them stronger and beautiful. Argan oil can be bought from any store nearby. It is easily available and commonly used to treat a number of issues. As you see, it has got a huge lot of benefits on your health, skin, and hair. Use it on a daily basis to treat all issues. I’ve been told that anything nature made is great for you. This oil is great and works for my hair and nails.